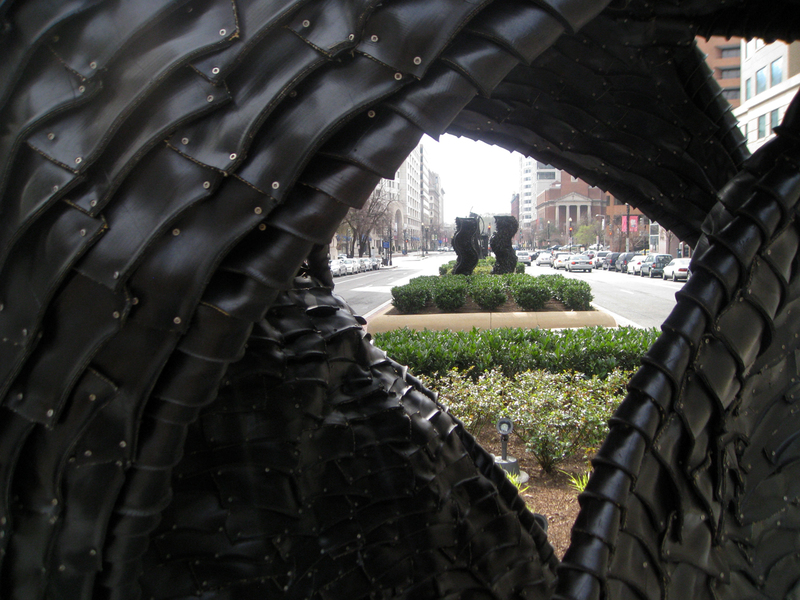 WASHINGTON DC—Every day countless tires roll down New York Avenue as vehicle traffic ebbs and flows. 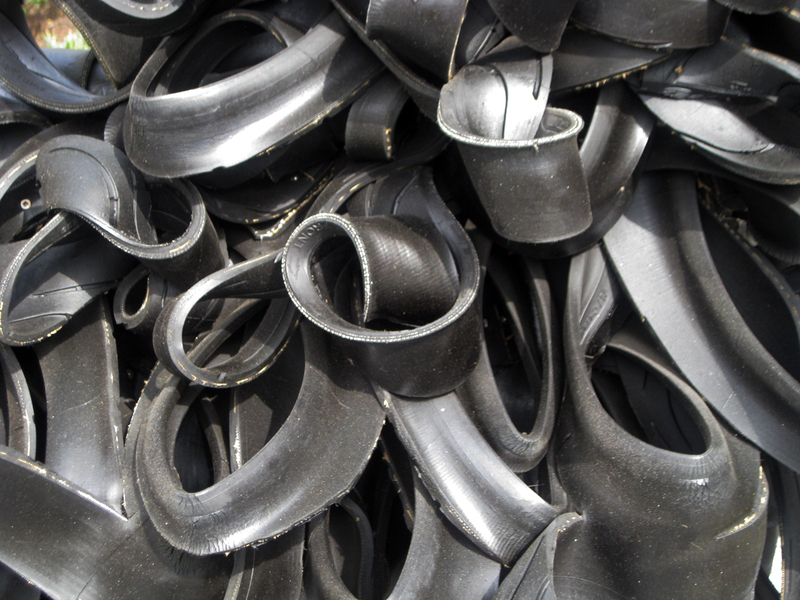 Inspired by the everyday material, sculptor Chakaia Booker works with recycled tires, cutting, folding and layering the black rubber to create uniquely textured forms. 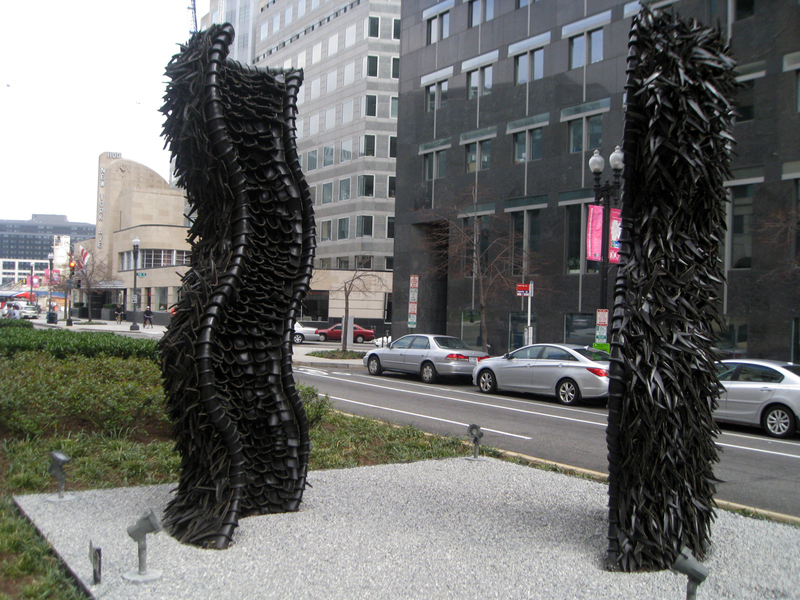 Last week, on International Women’s Day, the National Museum of Women in the Arts dedicated four sculptures by Booker that are installed adjacent to the museum on the median along New York Avenue. 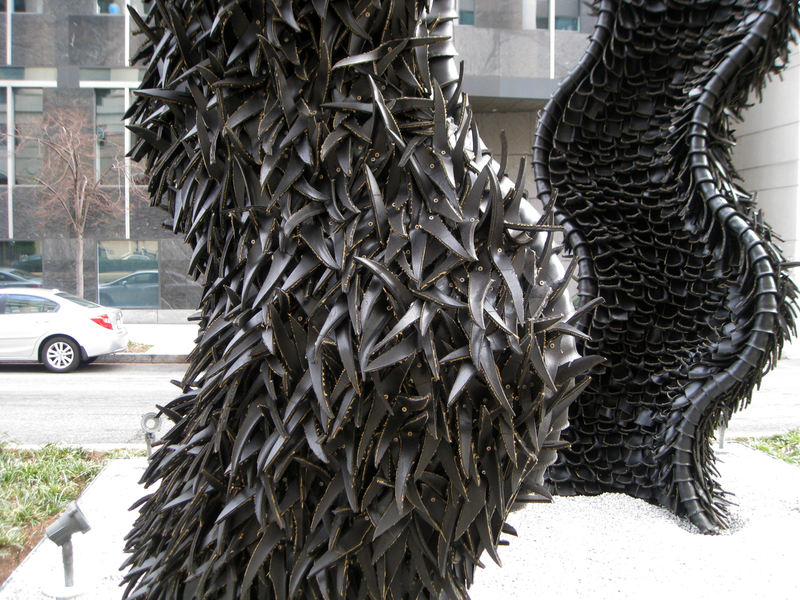 The collection includes “Shape Shifter,” a new work the New York-based artist created specifically for the exhibit. 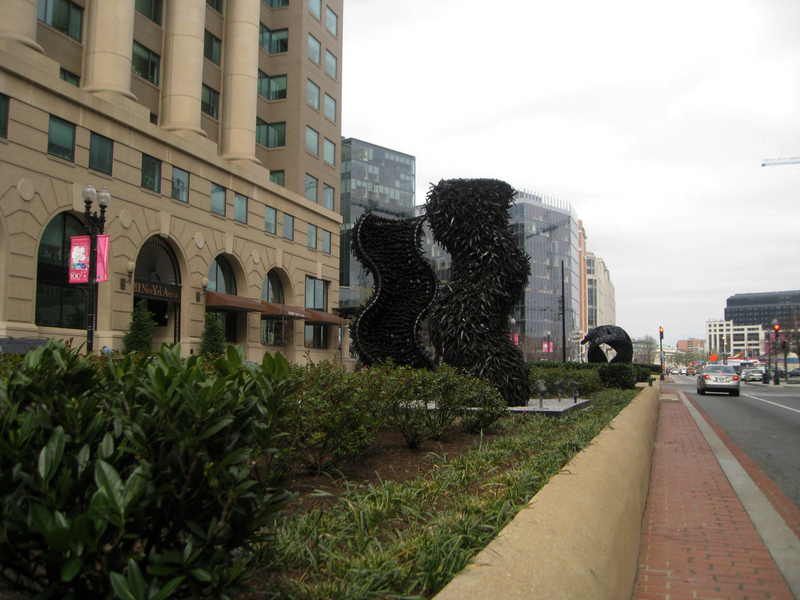 Booker’s sculptures address globalization and ecological matters and explore race, gender and economic issues. 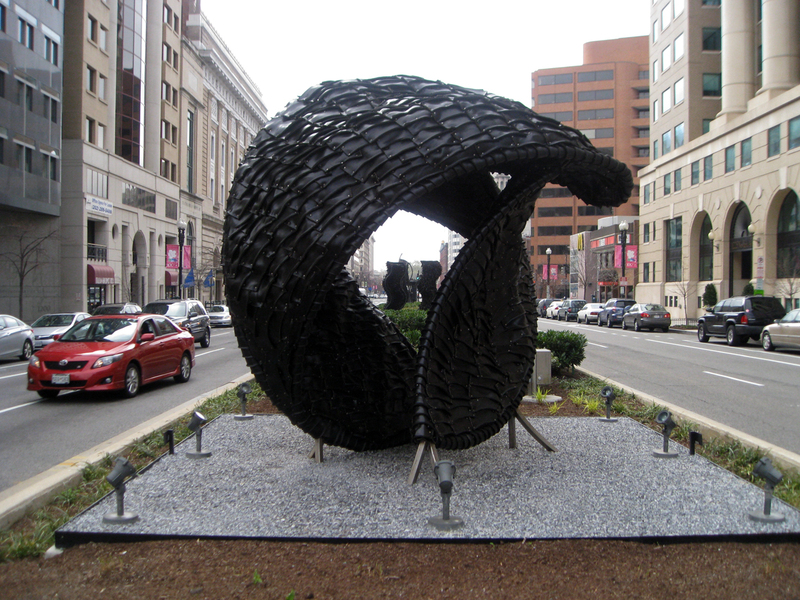 She is the second artist to participate in the New York Avenue Sculpture Project, which the museum describes as “the only public art space featuring changing installations of contemporary works by women artists.” The first artist chosen for the project was Niki de Saint Phalle in 2011. 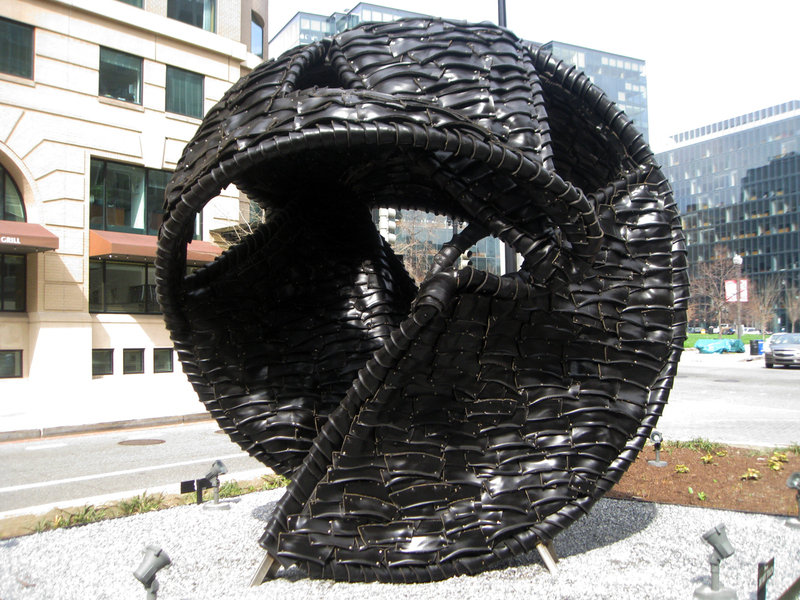 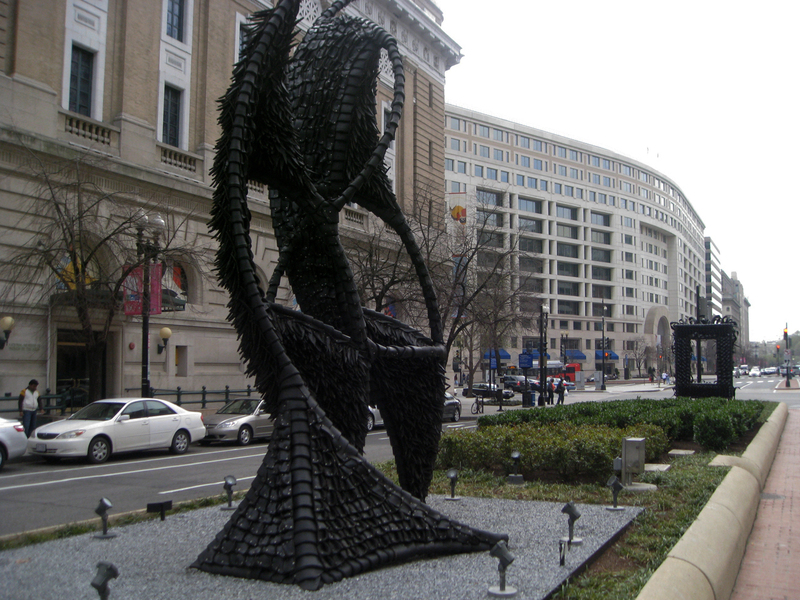 Booker’s recycled tire sculptures will be on view from March 8, 2012, to March 9, 2014. 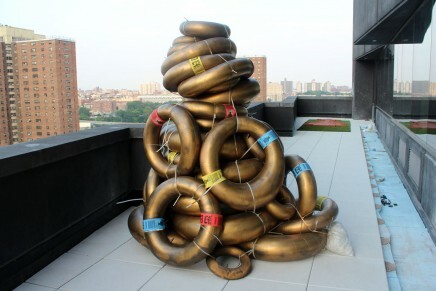 Above, “Shape Shifter,” 2012, a new sculpture created specifically for the New York Avenue installation. 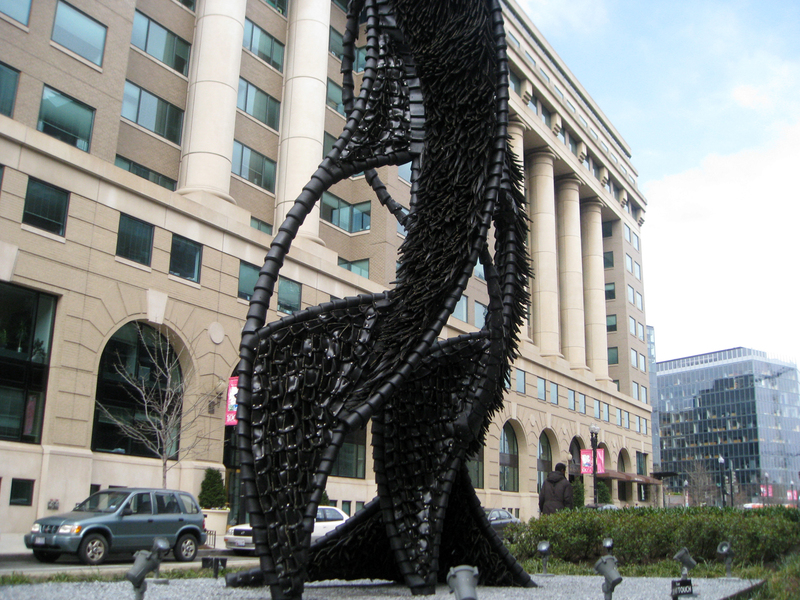 Its abstract curvature suggests a gesturing figure. 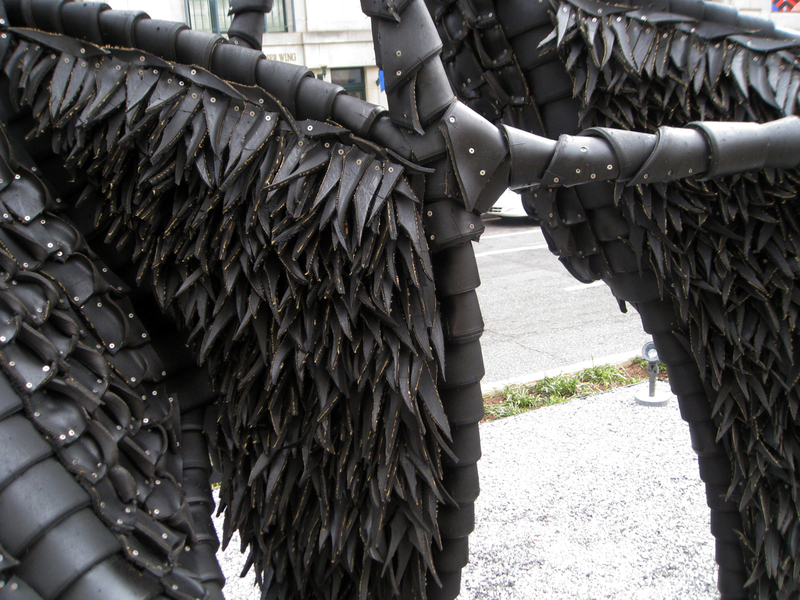 Top of page, “Pass the Buck,” 2008. 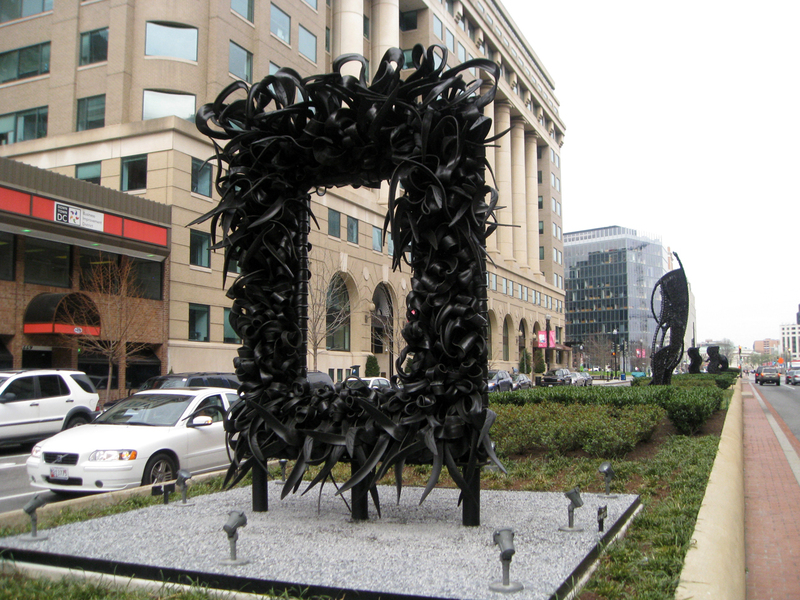 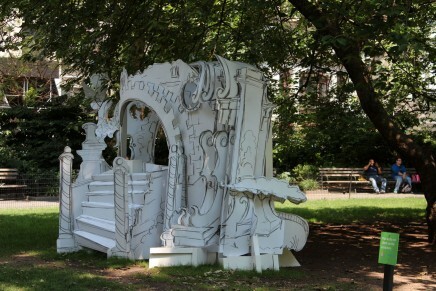 Installation view of “Gridock” with “Pass the Buck” in the background. 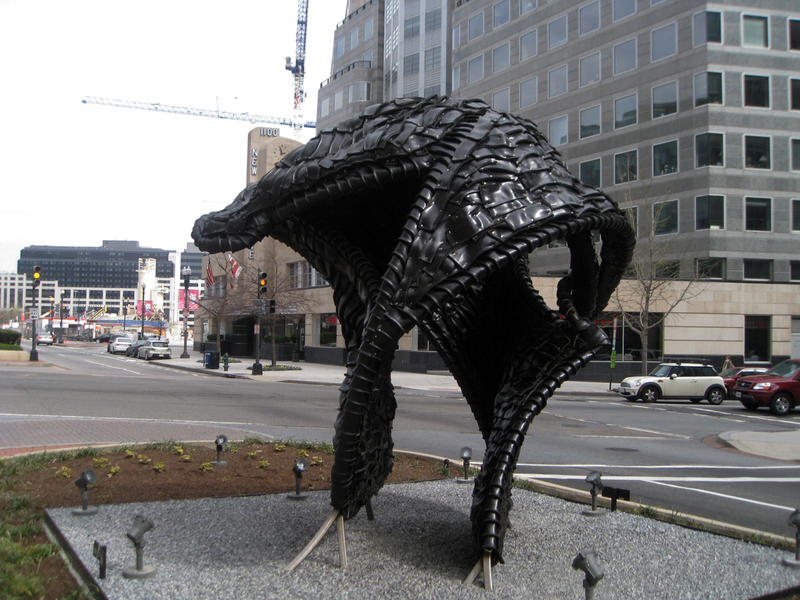 “Pass the Buck,” 2008. 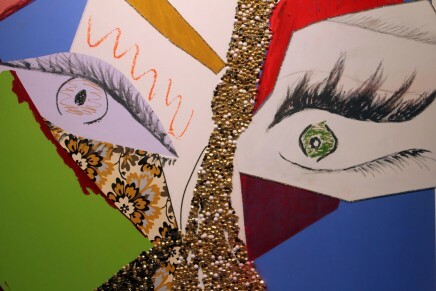 Inspired by Madame CJ Walker, the first black woman millionaire who sold beauty products, “the work’s concentric circles suggest the pursuit of success and giving back to one’s community. 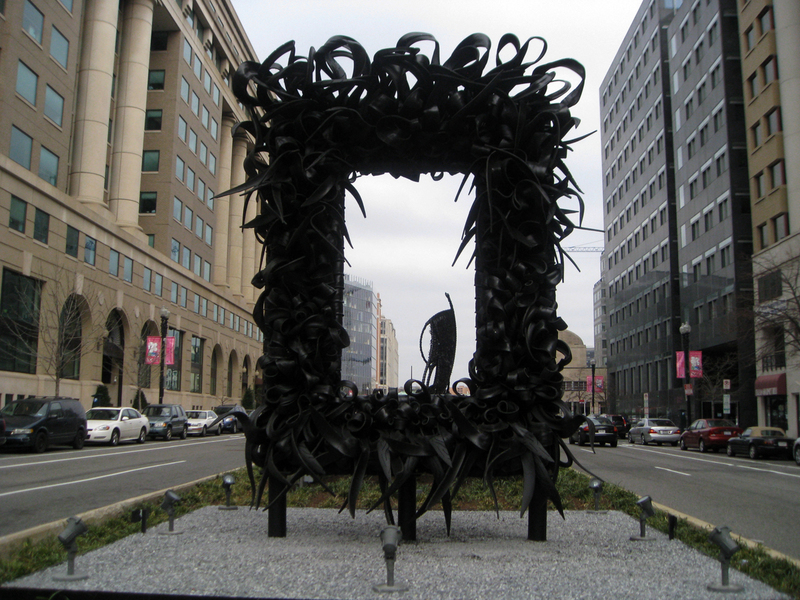 “Take Out,” 2008: “Evoking photographs and reflection through its frame- or mirror-like rectangular shape, this sculpture invites viewers to explore and engage in the New York Avenue cityscape.